Windows Antivirus – Why It is Needed? As well all know, Windows is the most popular operating system. Because of its popularity, it is a much-preferred target among the hacking community. One hit and millions of machines will get infected. So if you are using Windows which most of us obviously are, it's time to beef up the security of your operating system by employing windows antivirus. Now let's take a look at some of the common security issues. Unpatched Systems: Microsoft is really good in keeping its OS(es) and patches up to date, but unfortunately, does not have a proper security mechanism in place to keep third-party software such as Adobe Flash, Adobe Reader, Firefox etc., patched up or updated as well. Chiefly because it's not Microsoft's job. Therefore make sure all your third-party software stays up-to-date and does not end up compromising your Windows OS. Outdated Antivirus: An outdated antivirus together with already insecure Window OS can pose a serious security threat. Therefore never forget to update your windows antivirus because if you don't, chances are Windows Defender will reactivate itself replacing the expired antivirus and we all know this is worse than using an expired antivirus program. Web Related Threats: Windows operating systems - including Windows 10 - are not immune to web related threats. Though it does have some inbuilt technology like SmartScreen URL blocker, this is more often than not sufficient enough to keep your PC(s) safe. Therefore you need additional layers of protection which only a dedicated windows antivirus can offer. Social Engineering: Again the Windows popularity comes into focus. Every new release of Windows version gives the hacking community the chance to carry out social engineering attacks like phishing mails, clickbait etc., Therefore Windows users have to be extra cautious, and maybe even delay while uploading to the latest version. Thinking Windows 10 Inbuilt Security Is Good: Windows 10 equips itself with an inbuilt security system (Windows Defender). Although it's not bad, it's definitely not enough against today's sophisticated malware and zero-day threats. But many gullible PC users believe that Windows security is enough, which is a very wrong though. Other Issues: Apart from the above-listed issues, there are several others which affect Windows. Like, for example, improper hard drive encryption facilities which necessitate BitLocker to be turned On all the time; bad and unreliable backup system; average desktop security standards and much more. As you can realize, Windows 10 is vulnerable. Notifications suggesting an upgrade to Windows 10 are doing rounds because it's the most secure Windows operating system as of now. Which doesn't necessarily mean it's hack-proof. Nor does it mean it's safe from security vulnerabilities. Therefore secure your Windows OS using Comodo free antivirus for Windows and protect it from different types of malware attacks and zero-day threats as well. Comodo free antivirus for windows is compatible with all types of Windows versions. The priced version (Comodo Internet Security) offers even better protection. Comodo Windows Antivirus, which comes equipped with impressive security features, is the best free antivirus for windows in the cybersecurity market today. 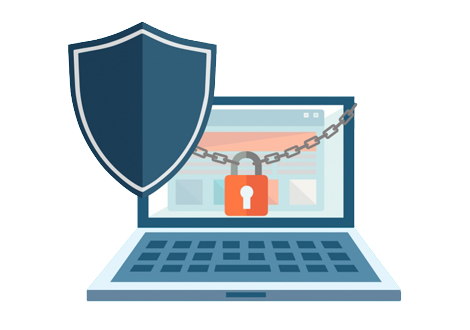 Default Deny Protection, Host Intrusion Prevention System (HIPS), Viruscope, Virtual Desktop, cloud-based malware analysis and more ensure your PC stays secure against various security threats. Containment: Technology unique to Comodo which ensures all unknown (and therefore suspicious) applications are denied entry into your PC(s) by default and are run within secured and protected containers without affecting your PC(s). Host Intrusion Protection (HIPS): CIS also ships with a default HIPS rule-set which offer protection to your PC(s). Comodo HIPS is basically a set of security rules which offer enhanced protection designed to protect access to your system critical files and folders from malware infections. Host Intrusion Prevention System (HIPS) rule-set is highly customizable. Viruscope: this technology unique to Comodo, basically monitors all the processes running on your computer and alerts you when a process behaves abnormally or has gone rogue (indications of malware infection). The Viruscope feature has the ability to potentially reverse or undo such undesirable processes which may be running within your PC.